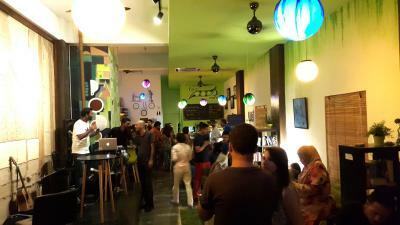 Lock in a great price for PODs The Backpackers Home & Cafe, Kuala Lumpur – rated 8 by recent guests! The hotel is just 5 minutes on foot to the terminal station, where you take the buses that take you to other cities and the airport. So it is a convenient place to say a night if you need to take a flight on the next day. The staff is always very friendly and helpful. The common area and reception area always make us feel welcome and it's a great way to make friends and converse with fellow travelers. Clean, safe, and comfortable. We will be back. Highly recommend. Azlan at front desk was really nice and friendly! Superb location, walking distance to the KL Sentral main transportation hub and Nu Sentral shopping mall. Also tons of stuff food around for good prices. Lobby has a nice common area to relax in. Clean bathrooms. Great staff, amazing common area with cafeteria, clean bathroom and location is cool, just next to the Central train station. I had an easy &fast check -in procedure. The staff is very helpful from the start till the end of my stay. The room is as described & have everything they listed. Clean accomodation and friendly staff...you rock man! very near with kl central.. so far so good .. really nice service. got checkin early bcs i arrived earlier than what i expected and they allowed me to checkin . veryyy recommended! Staff is very helpful and friendly, they even send someone to pick me up when I already gave up to find the place when i just arrived. Location is actually very near to nu sentral, and will make you easy to catch early morning train to airport or train to some other place and quite save your budget if you only would like to transit. 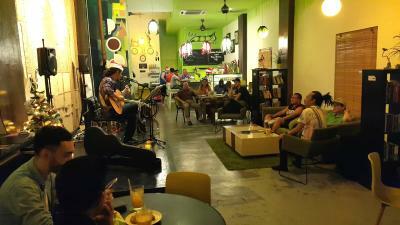 PODs The Backpackers Home & Cafe, Kuala Lumpur This rating is a reflection of how the property compares to the industry standard when it comes to price, facilities and services available. It's based on a self-evaluation by the property. Use this rating to help choose your stay! 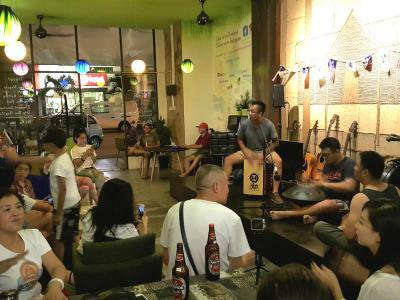 Located just a 5-minute walking distance from KL Sentral, PODs The Backpackers Home, Kuala Lumpur is located in the bustling shopping destination of Brickfields, Kuala Lumpur. Featuring a restaurant, snack bar and a shared lounge where guests can socialize or relax, this property is located just 0.6 mi from Istana Negara Malaysia Palace. The accommodations provides guests an air-conditioned or fan-cooled room. Every room comes with a wardrobe. Shared bathroom is fitted with a shower. Some rooms provides views of the surrounding lively city. PODs offers a 24-hour front desk and a tour desk. Guests can also use the shared kitchen. Free WiFi is available throughout the property. 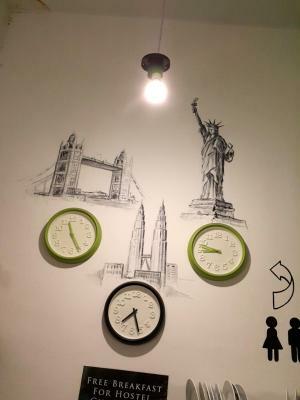 The hostel is 2.4 mi from Petronas Twin Towers and Suria KLCC. Kuala Lumpur International Airport is 26 mi away. 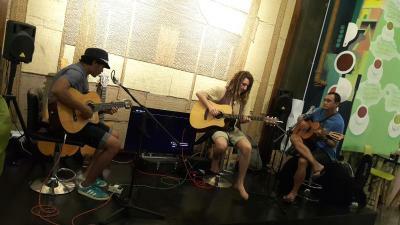 When would you like to stay at PODs The Backpackers Home & Cafe, Kuala Lumpur? 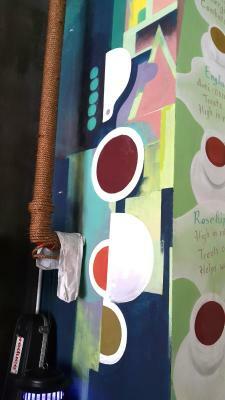 Featuring green walls and art decor, this air-conditioned single room has a single mattress fitted onto a built-in platform. It also provides a fan and wardrobe. Shared bathroom is fitted with a shower. Rooms with views of the city are subject to availability. Featuring green walls and art decor, this air-conditioned double room has a double mattresses fitted onto a built-in platform. It also provides a fan and wardrobe. Shared bathroom is fitted with a shower. Each bed in the 4-bedded air-conditioned dormitory offers guests with either a top or bottom bunk bed. Also offering a fan, each guest is given a cupboard space to store their belongings. 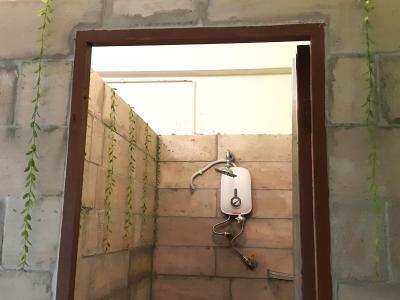 Shared bathroom is fitted with a shower. Rate is for 1 female guest. Each bed in the 16-bedded dormitory offers guests with either a top or bottom bunk bed. Also offering a fan, each guest is given a cupboard space to store their belongings. Shared bathroom is fitted with a shower. Area Info – This neighborhood is a great choice for travelers interested in convenient public transportation, city trips and local food – Check location Excellent location – show map Guests loved walking around the neighborhood! 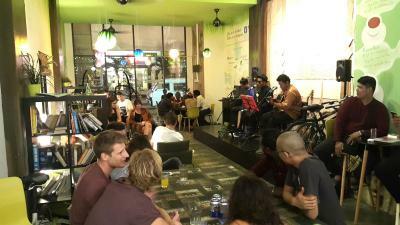 House Rules PODs The Backpackers Home & Cafe, Kuala Lumpur takes special requests – add in the next step! Any additional children or adults are charged MYR 20 per night for extra beds. PODs The Backpackers Home &amp; Cafe, Kuala Lumpur accepts these cards and reserves the right to temporarily hold an amount prior to arrival. PODs The Backpackers Home & Cafe, Kuala Lumpur accepts these cards and reserves the right to temporarily hold an amount prior to arrival. 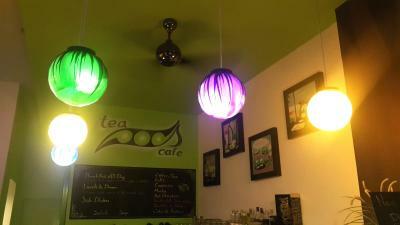 The staff are very friendly, accommodating and greets you with a warm smile. The breakfast is nice and stomach-filling, yet it would have been perfect if there were some omelette, and if the coffee was powdered, not made into coffee-bags. Also, the place is lovely, friendly and warm. You will here make long-life friends, I assure you that. I don't like the smells:(It smells terrible.The bed, pillow and blanket don't look clean at all.They also smell. The staffs were great.The location also is very accessible. Very close to KL sentral. Very noisy..wall so thin,u can hear the customer snooring opposite ur room.single room very small.there is other property nearby with same reasonable price, include queen bed n own bathroom. I like everything, from the price, location, facilities and the staffs.